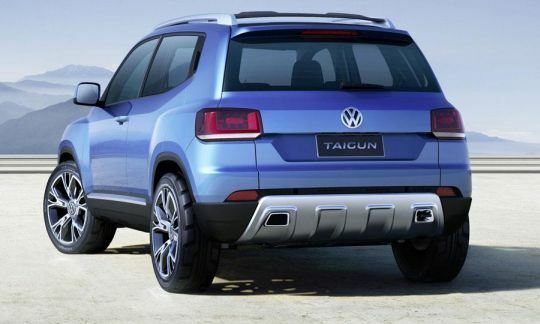 Volkswagen moves one step close to SUV range - "Taigun concept"
Volkswagen's Taigun was first shown at Sao Paulo International Show in October 2013. And here is some more information about the VW Taigun. 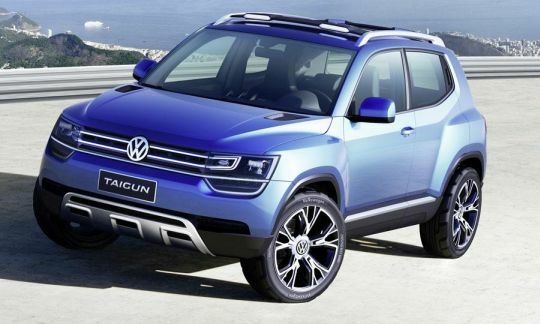 As per the sources, Taigun would be into production in Brazil soon, however for India, the launch would happen nothing before 2016 as per the VW's Strategy to go slow in Indian market. 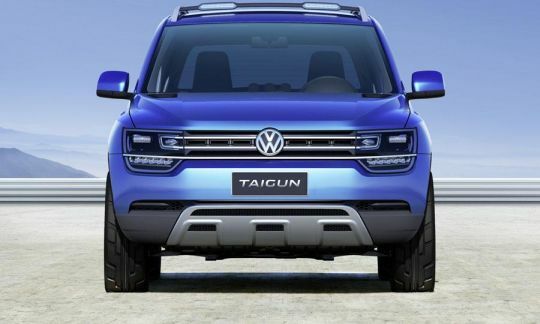 VW Taigun would be the first product for India based out of NSF (New Small family) platform. Measuring at 3,859 mm, would be powered by 1.0L 3 cylinder turbocharged engine delivering 108 bhp of output power. The engine bay of VW's Taigun is currently now wide enough to house a 4 cylinder engine. However, it could be modified to make it equipped with 4 cyl. 1,5L diesel engine for India which could compete with likes of bigger engine and compete with other SUV products in similar range. There will be no four-wheel-drive version of this compact SUV as the NSF platform has been designed to be exclusively front-wheel drive. However, the Taigun will feature an electronic stability program. The Taigun concept weighs just 985 Kgs however, the weight of production version is yet to be seen. Hackenberg also said VW is first developing the Taigun for South America. The car can subsequently be an option for India too. So it is unlikely that the Indian market will get the Taigun before 2016. For Indian market, Taigun could be stretched a little more in size, just close to 4 metre mark and the wheelbase could also be stretched to 2,470 mm. The Taigun will be competing with Renault's Duster and Ford's EcoSport which also made its debut in Brazil and later came (Duster) / will come (EcoSport) to India. More Images could be viewed here.